Avanti Fontana: It started and kept going since my research in management while studying for my master's degree at the Université de Paris X. During my doctoral studies in France at joint doctoral program ESSEC and IAE Aix-en-Provence the Université Aix-Marseille III (current name Université Paul Cezanne), I continued this interest while studying strategy and management. I have also had wonderful mentors and research supervisors in Professor Jean-Claude Tarondeau, who is located at ESSEC Business School (Paris), Professor Ashok K. Gupta at Ohio University College of Business in U.S., and Professor Kazuhiro Asakawa at the Keio Business School in Japan. While studying I received information about excellent companies around the globe. I started by exploring the different strategies companies take to manage their R&D and production units globally. Then my attention re-focused to how R&D and manufacturing units interface during the new product development process. I explored different R&D units in terms of their project management and outcomes. I passionately explored different "meeting points" between R&D and manufacturing during the process of innovation. I discovered that the key to this innovation process is organizational integration, so I pursued this line of inquiry to discover the factors influencing the effective integration of R&D and manufacturing in new product development. The more I learned the more passionate I became about discovering how to solve the issues, questions, and problems related to innovation. It was not just a matter of discovery and research. I decided to have a career where I could actively disseminate the principles and the systematic ways to innovate, especially within the context of business organizations. VB: You mentioned the importance of integration in an organization in order to promote innovation. What is its importance? Avanti Fontana: None of us is as smart as all of us. Innovation requires organizational integration. The issue is that often in large organizations effective integration does not happen. Different practices between or among functions, different languages, different locations, or even different performance indicators in the various departments or work units can inhibit the cross-functional integration. To overcome these risks organizations need to be well led and managed. Organizations need entrepreneurial leaders that will lead and coach the innovation process in their organizations. My research has shown that the intensity of interfaces among or between functions in the process of innovation can be different along different stages of the process. The integration mind-set and spirit in the organization will facilitate the process of managing the interfaces itself. Organizations must design their strategy, social and physical structures, methods of coordination, reward systems, and people management processes in order to facilitate the organizational integration cross-functionally. VB: What were some of the companies you have studied that are located in Indonesia or other parts of the world, and what particularly impressed you about them in relation to their approaches to innovation? Avanti Fontana: I studied consumer electronics firms and high-tech firms located in other parts of the world. Their attention to the importance of R&D for innovation and recognition of the importance of cross-functional integration impressed me very much. Current trends show that they are increasing their attention on open source innovation. Many of them no longer rely on only their internal R&D units. My observation of the innovations of some companies located in Indonesia led me to conclude that the successful ones put higher importance on the local content and local context of their innovation process. Most of them adopt "need-seeker" and "market-reader" strategies. VB: What are some of the principles and processes for innovation you have encountered that you find especially interesting? Avanti Fontana: We can learn and reflect on the still-relevant principles of innovation that Peter Drucker wrote in his seminal book Innovation and Entrepreneurship. I have encountered successful innovative firms applying some basic principles. Be simple and focus on the strengths of the organization. Start small. Be good both at perceptual and conceptual skills. Innovation requires leadership. The process of innovation must involve innovation stakeholders. The design-thinking approach provides us with instruments to boost the value creation process. The Art of Innovation by Tom Kelley and Design Thinking by Tim Brown attractively describe how this approach has contributed and can play important roles in the process of innovation. VB: You are also co-founder of the Center for Innovation Studies? Would you tell us about this Center? Avanti Fontana: Innovation deals with more than just economic success; it also deals with creative solutions to social issues. This means we need to spread good ideas about innovation to many different sectors of society. I co-founded the Center in 2004 with the mission of promoting the innovation spirit and discipline to the larger audiences in Indonesia. It does this by conducting research and collaborating with individuals and stakeholders in different types of organizations. So far we have not done many large things. People we work with on the topic of innovation define our achievements as having created value for them relative to the prices they pay or the sacrifices they make to enjoy the benefits of our activities. One of the activities we started this year is hosting a one-hour TV program on a weekly basis. On the program we facilitate discussions among practitioners, researchers, and experts on innovation or its related subjects. Our goal in launching this program in collaboration with QTV was to inspire Indonesians to innovate. The Center also provides workshops on innovation. We meet with people who will further the spirit and discipline of innovation throughout their organizations and communities. In July of this year my team and I realized the establishment of the Research Center on Innovation & Entrepreneurship in the Universitas Indonesia. There are various research centers among each faculty at the Universitas Indonesia, but we considered it to be a necessity – perhaps even of urgent importance – that we also undertake research at the university level. This is in line with the intention of the university's leaders to value creativity and innovation for further entrepreneurship in Indonesia. VB: What are some of the research projects the Center is planning or considering? Avanti Fontana: We're considering researching more Indonesian companies related to their innovation ecosystem and processes. We also want to encourage more firms to participate in the in-depth surveys that triangulate different methods of data collection and analysis for obtaining knowledge about innovation practices in Indonesia. The more open the companies are to innovation research, the more learning and practical insights we can disseminate, resulting in benefits not only to the companies in question but society as a whole within different research contexts. VB: The subtitle of your book is How to Create Value through Innovation in Your Organization. What are some of the highlights of your messages about value creation? Avanti Fontana: In the book I start with the definition of innovation as being the introduction of new ways, or new combinations of existing ways, to transform input into output such that it creates drastic change in the relationship between use value and monetary value. Use value is the perceived benefit from the users' or consumers' point of view. Monetary value is the cost or any required sacrifices the users or consumers have to endure. The use value is embedded in the products, which means there are countless opportunities for enhancements and innovations related to the goods, services, systems, distribution methods, and the structure of organizations –to name only some of the areas of opportunity for innovation. The customer perceived value, the CPV, divided by P, the prices in terms of the total cost of ownership, must be larger than 1. This identifies the need for drastic change, which requires innovation in processes, approaches, and ways of thinking. The next question to be answered was how to achieve drastic change in any innovation practice, and what practices and processes do organizations need to pay attention to. The book also discusses the innovation stimulators which is the input to innovation, the innovation value chain which is the process of innovation, and the principles of the management of innovation. My work in this area was inspired by the research of Professor Arnoud De Meyer and his team who published Inspire to Innovate in 2005. I also discuss knowledge management and coaching for innovation. My future book will focus on how to use innovation as an instrument for entrepreneurship. VB: In Innovate We Can! you used the term "consumer benefit." What does this refer to? Avanti Fontana: As I mentioned, it's the benefit or use value consumers perceive, feel, or enjoy which determines what consider they have received. Producers think they have create products or services with differentiating features, but at the end of the day it's the consumers who "judge," perceive, or see the value embedded and offered by the products or services. To a great extent this is the real judgment of the output of the innovation. Thus it can be said that the quality of innovation is determined by the consumers, users, or society. The lesson is to involve consumers, both current and potential ones, in the process of innovation. A design thinking approach offers ways to achieve effective innovation through this involvement. VB: What is the innovation value chain that you referred to? Avanti Fontana: Innovation value chain refers to three stages in the process of innovation: idea generation, idea conversion, and idea diffusion. Different activities in each stage must create value, and also contribute to the next stage. Value creation embedded in the innovation process cannot happen separately in each stage. In real organizational life, however, we can still find imbalanced innovation in the value chain. Many companies that I have observed show differing levels of richness with their innovation activities in various parts of the value chain. Only a few of them show comprehensive richness – in every stage and with all activities creating value. Organizations must regularly check their innovation initiatives with the value chain to ensure that optimum benefits are achieved. VB: Would you share with us what you consider to be some of the principles of the management of innovation? Avanti Fontana: One of them is there is no innovation without leadership. Observe successful innovative companies and you can say that their leaders fully support the innovation agenda and related efforts. In these cases the organizational climate is very conducive to value creation. Leadership for innovation must have noble visions not only for the company but also for society, and for life itself. Leadership for innovation allows organizations to achieve growth and improvement, as innovation only comes with leadership. Innovators-to-be must understand their markets. Successful innovators have a good understanding of the markets which they want to serve. Innovators are servants to the environment in the sense that they have chosen to work toward creating value. VB: You say, "Innovation is an important element in the creative economy." Would you talk about this? Avanti Fontana: Innovation is a discipline and can be learned. The actors in the creative economy must understand the principles of innovation, its systems and disciplines. Entrepreneurship in the creative economy can flourish faster than in a non-creative economy due to different characteristics of its industry, resources, and requirements. The creative economy must create value to the society, at least at a national level. But without innovation entrepreneurship is only "on the paper." VB: What is a creative economy? Avanti Fontana: A creative economy puts people first, it's people focused. It's not industry-or sector based. The power underlying value creation is people, not machines. In a creative economy it is realized that the economy must be managed with love to the people, to the environment, and to life itself. A creative economy is organic. High-tech firms producing products such as computers can play an important role in the creative economy as they pay attention to the health of their primary customers who support them by purchasing products. A creative economy colors the innovativeness of nations, and this creates value. It's not the economy that creates value; it is the people that play the primary roles. VB: You advise readers that we should "innovate right now." Is this the main message of your book? Avanti Fontana: It's one of the main messages. One of the principles of innovation is innovate now and for now, not for the future. And to innovate right now, different actors in an organization and even among organizations need to collaborate. The mind-set for innovation calls for collaboration, not a mind-set of competition. VB: In your book you say innovation in Indonesia and other developing countries is important and urgent. Why is this? Avanti Fontana: Innovation must be both the spirit and the generator of economic growth. Economic growth is the only means to improve a country's wellbeing. Innovation enables more resources in the economy to be exploited for increasing the welfare of society. All people live better. Without value created for the society, the economic growth increases the gaps between riches and poverty, increases inequality, and increases conflicts and competition. VB: "We, Indonesia, can innovate!" Why is it necessary to tell Indonesian this? Avanti Fontana: Innovation can be effective not only in developed nations. Innovation can be effective not only when people in organizations and society are in high-tech industries. Innovation can be effective not only in large, rich countries. Innovation is universal! The long history of Indonesia, the ups and downs of the country, has posed challenges. Globalization has the potential to create a crisis for Indonesia, which could have the potential to create a bad ambiance for innovation. I want to tell Indonesians that innovation must be present in our personal and business lives during times of stability, or when people perceive and experience crises they won't be as effective in responding as they won't have developed the skills for creativity and innovation. More crises perceived by more people must trigger more innovations. This is the way people manage the equilibrium. Innovation needs to support positive and optimistic people. The Almighty Creator has given our country abundant resources, and people with competencies and uniqueness. Learning how to create more value for our society with the principles and discipline of innovation will help us in Indonesia to progress. Innovation is the win-win concept. We cannot live better or create a better life without learning the processes of innovation that so many people in other countries successfully use. VB: Is Indonesia in an excellent position to become a leader in innovations for new products, processes, and business concepts in Southeast Asia and perhaps world-wide, rather than continuing to rely on low labor costs and its natural resources to remain competitive? Avanti Fontana: Indonesia is in an excellent position to become a leader in innovations. To realize this leadership role Indonesia needs to build a stimulating environment that is conducive to innovation. I refer to INSEAD's Global Innovation Index for 2010, which found that Indonesia is still weak in its institutional infrastructures for innovation. I will read to you two quotes from this INSEAD 2010 report that clearly make this point. It says on page 32, "Among the emerging economies of Indonesia, Turkey and the BRIC countries, the leader is the Chinese economy, followed by India, Russia, Turkey, Brazil and Indonesia respectively in that order." The report identified what must be done in Indonesia. On page 36 the report advises, "Indonesia is one of the most populous countries of the world and also the largest economy in South East Asia. However it needs to boost competition among its economic players of small and medium scale economies, in order to scale up innovation in its economy. Further, it needs to boost its R&D spending and beef up collaboration between universities and industry and arrange for better financing of its medium and small scale industries." The ineffective and inefficient bureaucracy weakens and slows the innovation process in many organizations and at the national level. If there is no effective coordination among leaders and key actors in government, industry, and community, society and not-for-profit organizations, Indonesia will keep stopping in the middle of the process. It won't reach the finish line of being a leader in innovation. For your interest, in Indonesia we call these sectors 1, 2 and 3. Indonesia faces challenges to develop its entrepreneurship in the different sectors. This is especially true with sector 3, the local community-based sector rather than the more high-tech companies. Indonesia needs to boost the energy and entrepreneurial capacity of its micro, small, and medium sized enterprises. Most of the people in them still lack an entrepreneurial mind-set and the financial resources to sustain their businesses. Indonesia must develop micro-finance institutions to support these businesses – the "MSMEs." All government social responsibility projects must be designed to support innovation and entrepreneurship in all the sectors in different parts of Indonesia. VB: Is innovation increasingly of interest to businesses in Indonesia as a way for them to compete in the global economy? Avanti Fontana: Yes it is becoming of interest to businesses. This is also a call for an effective national innovation system that will facilitate the interaction among businesses, government, research centers, universities, and communities. New initiatives to implement corporate social responsibility programs are supporting young entrepreneurs to flourish. This includes coaching them to sustain and grow innovatively. VB: Is it supported by the government? Avanti Fontana: Yes, our government supports and promotes innovation. In 2010 the Indonesian Government established the National Innovation Committee. The committee is to provide recommendations to the Presidential Office and facilitate the interactions among actors in the national innovation system. I think the Committee's first priority should be to facilitate coordination among all the institutions and actors interested in furthering the cause of innovation. VB: Would you talk about some of the barriers to innovation in Indonesia? Avanti Fontana: As I mentioned earlier, inefficient bureaucracy has created hurdles to innovation. Referring again to INSEAD's Global Innovation Index, among the 132 countries analyzed in this study, Indonesia ranks relatively low in the following innovation input pillars: political environment, regulatory environment, conditions for business provided by public institutions, investment in education, enrolment in tertiary education, infrastructure, and market sophistication. We still lack effective coordination among organizations in the 3 sectors, and also intra-organizational coordination. We still lack collaboration and willingness to share what we have to the value creation in the society. Indonesia urgently needs to reform its public and nonpublic institutions to become more entrepreneurial. Any reformation or deregulation projects need be accompanied by the willingness to shift old paradigms to new paradigms that will encourage innovation. This means shifting from a reductionist to a holistic worldview based on interconnections. From a mechanistic, industrial paradigm to a natural-ecological one. And from a consumerist definition of being human to one that recognizes us as conservers of the earth's finite resources and co-creators of wealth with nature. VB: How can these barriers be overcome in developing countries, such as Southeast Asia? Avanti Fontana: Take action. Do institutional reformation and deregulation, while also increasing effective coordination among all institutions involved in furthering innovation. Government must support entrepreneurial education and curricula development for innovation and entrepreneurship. We can start improving, fixing, and innovating our ways for the delivery of teaching materials in schools and universities. Schools and universities must be entrepreneurial. VB: What are some of the key skills and lessons students should be taught in the schools and universities in Indonesia about innovation that would enable them to be highly successful as entrepreneurs? Avanti Fontana: Innovation is the instrument of entrepreneurship. Simply put, entrepreneurs innovate. Schools and universities must introduce and inspire would-be and young entrepreneurs to learn what, how, and why to use the instruments to entrepreneurship. The school's ecosystem and approaches to learning must be conducive to these skills. The teaching-learning methods must be entrepreneurial, context-based, and participative. Would-be and existing entrepreneurs must master how to innovate. This doesn't only apply to people in the business world. We find them in every type of organization, community, and nation. VB: You have read many books written about creativity and innovation by authors in the developed countries. Are there significant differences in how to implement an innovation process in Indonesia by comparison? Avanti Fontana: We need to implement an innovation process contextually. Innovation must be contextual, as must entrepreneurism. Innovation is the instrument for entrepreneurship. The principles of innovation, the principles of management of innovation, and the stages of the innovation process are similar. How to implement them needs adjustments; it will be different between and among countries, and even between regions or provinces in Indonesia. VB: In Innovate We Can! you discuss the various types of innovation. Would you share your ideas about these types? Avanti Fontana: Different types of innovation can emerge due to different inputs, processes, and outputs. I have learned from many authors about the different types of innovation. In 2006 Sawhney, Wolcott, Arroniz coined the term innovation radar. Prof Chan Kim coined the blue ocean strategy and disseminated the concept of value innovation. Julian Birkinshaw and colleagues at the Innovation Lab London Business School study the process of management innovation. One point that I would share is that the different types of innovation have one thing in common – creating value to users, consumers, and society. Innovators create value; the most successful ones create a drastic change in the use value relative to monetary value. Whatever the types of innovation, you name them, they must create drastic changes in the comparison between use value and monetary value. The customer perceived value is according to the point of view of your customers, users, or stakeholders. VB: "Social creativity and collaboration become one of the important themes in supporting the birth of many of the central processes of value creation and innovation in Indonesia." Would you talk about "Collaborative Competitive Advantage?" Avanti Fontana: The competitive advantage of organizations must be achieved through their employees' or other stakeholders' collaboration with consumers, users, or their communities. This is one of the contributing factors that will make them innovative organizations. Companies focusing on their internal strengths, while continually engaging in collaboration with outside individuals and entities to support the processes of innovation will be the trend for how to successfully innovate. Focusing on how to win the market and defeat their "enemies" will have destructive effects on the companies in the long term, if not the short term. Their innovation activities must be triggered by what they do not have yet, and this will require internal collaboration and collaboration with external parties. VB: You advise that innovation should be done with a mindset of collaboration and social creativity where there's trust, honesty, integrity, trustworthiness, and no hidden agendas. There should be no negative thoughts. Would you talk about this? Avanti Fontana: We cannot create value by hurting or betraying others. We cannot be dishonest in creating value for our customers in a larger sense of the term. What's called for is a peaceful process of innovation, for creating a better life for people in the world. Give first, receive later is a value many in our country share. That's also the principle of innovation; creating value for consumers, clients, users, or communities. Innovation is very social! VB: Innovate We Can! includes a discussion of coaching about how to create value through innovation. What are some of your messages about coaching as being an important part in the learning process of world-class companies today? Avanti Fontana: Coaching empowers the peoples who are coached. A successful coach sees the persons being coached as creative, resourceful, and able to solve their own problems. Coaches facilitate the clients' achievement based on the agenda of the clients, not the coach's. The approach is in line with how the process of innovation should take place. My focus is on developing programs and approaches for coaching for innovation. The focus is on how can coaches facilitate the clients' innovation strategies and actions to move from good outcomes to better outcomes to best outcomes? The approaches will have to be flexible as the clients may be individual leaders, managers, employees, whole organizations or systems, or teams of innovators. Coaches for innovation have to master the diagnosis of problems that need innovative solutions. They also have to be able to facilitate the process for clients to identify a very large number of possible cures for the gaps between what exists and what is desired, as identified in the diagnoses. Of course, the process is not completed until the client has been coached in the process and methods for selecting a preferred option from among the numerous ones that have been identified. VB: What types of clients do you provide innovation coaching to, and what approaches and method do you use? Avanti Fontana: I provide innovation coaching for organizations at the level of teams or across an organization's systems. My innovation coaching engagements usually start when I'm asked to do so by clients who have taken one of the workshops on innovation that I facilitate. These workshops help the clients diagnose their organizations' innovation climate, processes and outputs. The innovation coaching engagements can be for 3, 6, or 12 months, or even longer. The ideal manner is to provide coaching as my clients are involved in an innovative project, or want to establish enhanced processes for innovation within their organizations. The focus is to enable them to successfully implement their innovation agendas. VB: Would you tell us about the session you facilitated, "Marketing & Sales Innovation to Win in Business?" Avanti Fontana: It's one of the sessions I facilitated in 2009. The title and content of the session can be customized based on the client's needs or objectives. I usually facilitate these under the topics of "The Practice of Innovation: What, Why, How to Innovate" and "Innovation for Leadership." These sessions provide a relatively comprehensive perspective and approach to innovation. VB: What is it about the creative process of generating ideas that leads you to advise, "Do not lose your ideas, write them down quickly?" Avanti Fontana: The question is how can we put our idea generation abilities to good advantage? Many people and even whole organizations are brilliant and have great ideas, but due to the lack of even a simple knowledge management capacity, the ideas go away without having opportunity to be screened, selected, and developed. Of course we know that ideally large, complex organizations need a sophisticated knowledge management system and related processes. While I was writing the book I smiling happily when I saw written on a tissue paper at a café in Jakarta the message, "Do not lose your ideas, write them down quickly." It reminded me of one of the stages in the innovation process, the ideation process. Creativity is not the monopoly of the idea-generation phase, but it must be present throughout the process of innovation. Creativity triggers innovation. Creativity must be nurtured. But when creative ideas occur to us we must write them down lest our conscious memory fail us. Often those flashes of an idea are brilliant, and can lead to even more brilliant ideas if we capture them for future use. A lost brilliant idea is of no use to us. VB: Would you tell us about two or three businesses in Indonesia that are well known for being highly innovative, and what is it about them that enable them to sustain their innovative process? Avanti Fontana: The telecommunication and media businesses are highly innovative. They sustain their innovative process due to the stimulating business environment within that sector. The leaders are visionary, technology is changing rapidly, and the products have a mass distribution to many customers. All people need telephones and hand phones to facilitate their mobility. They need access to the Internet. Although the telecommunications industry is highly innovative, they have to continue to pay attention and improve on the many features contained in mobile phones. They must be able to increase their ability to customize the feature designs for the numerous profiles of customers so their customers can benefit from unique-customized features and lower prices. This is their potential competitive advantage. Many other businesses are innovative, but the effect not as big as the telecommunication innovations. VB: If you were advising Chief Executive Officers in Southeast Asia on how to make their companies the most innovative and successful possible, what would you tell them? Avanti Fontana: There is no innovation without leadership. The many interviews I have undertaken have led me to the conclusion that managers and employees miss the support and commitment of the top management in their innovation efforts if this support is not obvious and ongoing. Innovation has to the key focus of leadership, perhaps it defines what leadership is. The support and commitment of leaders for innovation in every part of their organizations will facilitate the development of ever more innovative products or brands through new systems, processes, or organizational structures. One more thing, people and culture are the most cited as innovation barriers. Top management must pay attention first and foremost to encouraging their employees to acquire innovation skills and engage in ongoing innovation. They must promote a culture of innovation. VB: Are Indonesian educators, students in business schools, and businesses hearing your messages about innovation? Avanti Fontana: Yes, they are. I keep disseminating the innovation discipline through many forums. I see many innovation movements in different parts of the universities and businesses. We still need more open-eyed and open-hearted people and organizations so that innovation becomes a matter of lifestyle. So it becomes an integral part of the normal everyday life of individuals, organizations and society. VB: Is co-innovation being used in Indonesia to any extent? Do you see a role for it in emerging economies? Avanti Fontana: Successful innovation is actually effective co-innovation. Coordination of innovation among institutions in the various sectors is emerging in discussions in Indonesia. For co-innovation to gather momentum it will need people to change many of their paradigms. Collaboration is the spirit of co-innovation. The question is how can entrepreneurs be truly entrepreneurial, which is to say be innovative, if their business partners are not involved in joint innovation initiatives? Although there are complications in the processes related to achieving co-innovation, it must be the "mantra" of every innovator and would-be innovator. VB: Innovate We Can! is currently only available in Indonesian. Are there any plans to have it translated into any other languages? Avanti Fontana: I welcome any translation of the book into other languages. A new edition of Innovate We Can! will likely be published in 2011. VB: You mentioned earlier that you are working on another book? Avanti Fontana: I am working on a book about the practice of innovation and the roles of coaching for innovation. I am observing innovation practices and learning from many practitioners on how they manage their innovation process. I have interviewed many people who are leaders in innovation to determine what their approaches are for developing entrepreneurship in their organizations and communities. VB: What interesting research projects are you working on? Avanti Fontana: I am working on two large research projects. I involve students interested in innovation research to join in the research projects. By being involved in these projects they are able to learn many of the innovation skills that enhance their likelihood of being successful as entrepreneurs or in whatever are their chosen careers. One of the major projects is aimed at developing a regional innovation index for Indonesia. My team and I at the university are working on developing the methodology and considering different approaches to coming up with measurement indices that will inform policy makers and decision makers on the regional and national innovation situation in this country. We are including both input and output indicators, and are in the process of learning how the researchers from INSEAD developed the global innovation index. The other project I'm involved with at present is to develop an organizational diagnostic tool to measure innovation capabilities of companies in Indonesia using factors such as innovation IQ, innovation climate, and processes for innovation. VB: Would you tell us about your website and the resources available on it? Avanti Fontana: It provides articles on innovation, and coaching for innovation. The articles disseminate innovation thoughts and practices. My team and I keep developing the site so that it creates better values for the readers. VB: Do you have any final comments about how to create better value to achieve our smart goals? Avanti Fontana: We create better value to achieve smart goals by keeping our innovation radar "ON." Smart goals are specific and focused, measurable, attainable, realistic, context-based, time-framed, and achieved by excellent project management. Value innovation is like the blue ocean; it is without limit. It is very resourceful. It is creative! It is coaching. It is interesting that people all over the world are recognizing the value of innovation to respond to the global economy. Indonesia is no exception as indicated by a speech by its president, Susilo Bambang Yudhoyono, on the occasion of this year's anniversary of the country's independence on August 17, 1945. In it he said, "Indonesia must walk faster and start to run. It's time to become a country with high competitiveness on the global stage." Education is one of the cornerstones for developing the necessary skills if one wants to become a leader in innovation. Plus a good coach and mentor can encourage entrepreneurs, leaders, and employees to excel at what they do. In the words of author Avanti Fontana, "The coach is there to hold people or organizations accountable and keep them moving forward toward their dreams and goals." Avanti Fontana holds a Master's Degree in Management from the University of Indonesia, and a PhD from the Université de Paris X. For in excess of three months she was a Research Student at Keio Business School in Keio University, Japan in 2000. For part of the same year she was a Research Fellow at the College of Business University in Ohio. 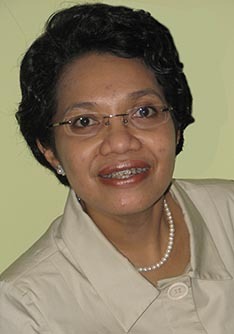 She has been teaching at the Department of Management in the Faculty of Economics, University of Indonesia since 2003. The courses she offers at the Universitas Indonesia include Introductory Management, Strategic Management, Seminar on Strategy Process, Entrepreneurship and Strategy, Organization Theory and Behavior, and Seminar on Knowledge, Innovation and Change. She is currently focusing on teaching Knowledge, Innovation and Entrepreneurship. Avanti Fontana co-founded the Center for Innovation Studies in 2004, which does research and facilitates workshops on the management of innovation. The CIS School of Innovation is currently doing research about, and dissemination of, innovation thinking and good practices. Avanti Fontana initiated the establishment of the Research Center on Innovation at the University of Indonesia in 2009. She also offers personal and team coaching for innovation in a creative process to inspire leaders of business and community groups to achieve their personal and professional best. 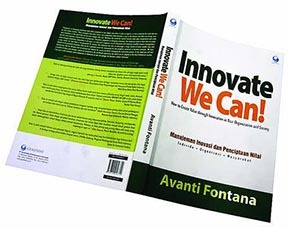 Avanti Fontana is the author of Innovate We Can!, which is published in Indonesian.